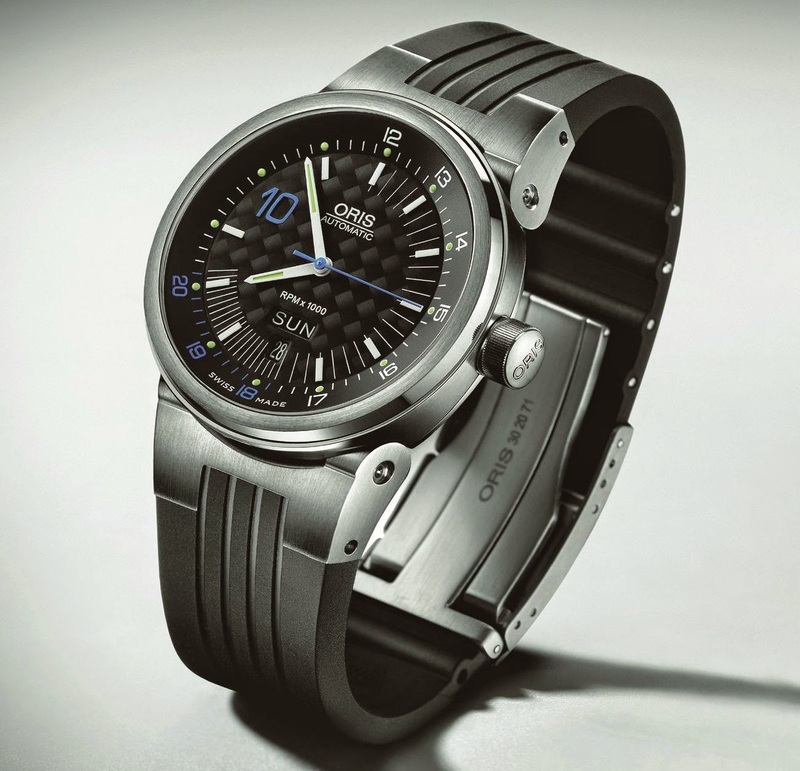 Introduced in 2006 in a limited edition of 2,400 titanium watches, this timepiece by Oris was produced to mark the Swiss watch brand’s partnership with F1 driver, Nico Rosberg. The rotating flange is inspired by the revolution counters on the Williams cars. The carbon fibre dial features a single, blue, oversized hour numeral -Rosberg’s number 10. The mechanical motor – with its red Oris rotor bearing the champion’s signature -can be admired through the transparent back.